IT isn't as smooth as it can be. Together, we can find a better solution. Solve it Together is a simple way to price automated IT services. It lets any IT professional get professional DevOps at personable prices. We help identify the right reliable automated solutions and help you fit them into your environment. 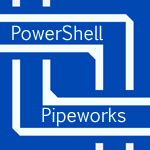 You get professional solutions at a predictable price, and we get to help more IT professionals automate their annoyances away with PowerShell.